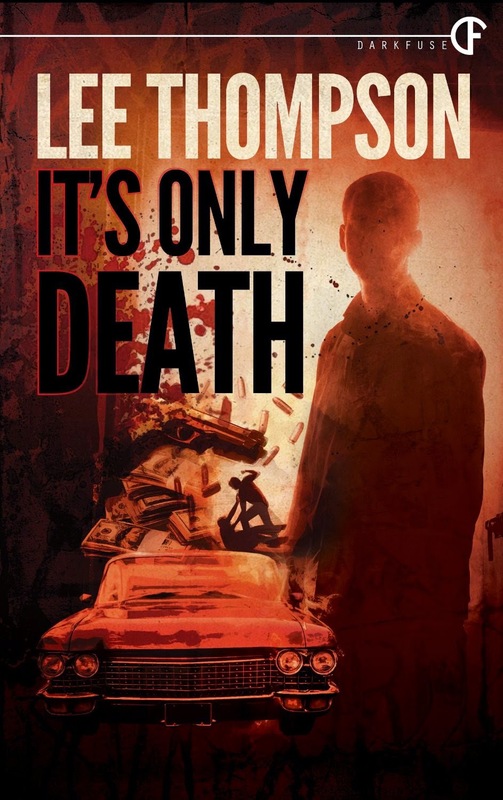 Lee Thompson writes Dark Fantasy and Noir fiction under his own name, Coming-of-Age Suspense as Thomas Morgan, and Supernatural Thrillers as Julian Vaughn. If I had to categorize It's Only Death, I'd call it Hard-core Crime Drama. Horror without the monsters. It's the fourth of July, and the opening line is a killer. "They clubbed me and tossed me into the trunk of a new pink Cadillac shortly after midnight." From there, the author brings us back a couple of days to see exactly how Elmore James Jackson came to be in this dire situation. Elmore, or I guess I should say James, since that's the name he prefers to go by, has come home to see his mother one more time, before she dies. After ten years gone, no one is happy to see him, not even his mother. It most likely has something to do with the last thing he did before he took off. No spoiler, but it's bad, very bad, and more than a few people would rather see him dead than see him at all. I've never met a character with more of a death wish. Others even ask James numerous times if he has a death wish...even James thinks he does. It's Only Death is filled with characters I felt strongly about. Characters I either liked or disliked. Very little middle ground, but they were all strongly written. The latest from Darkfuse, It's Only Death, is available now, in the Kindle format, through Amazon.com. If you subscribe to Kindle Unlimited you can read this one at no additional charge or if you have Amazon Prime you could make it this month's selection from the Kindle Owners Lending Library. Douglas Wynne takes on H. P. Lovecraft and scores big-time. 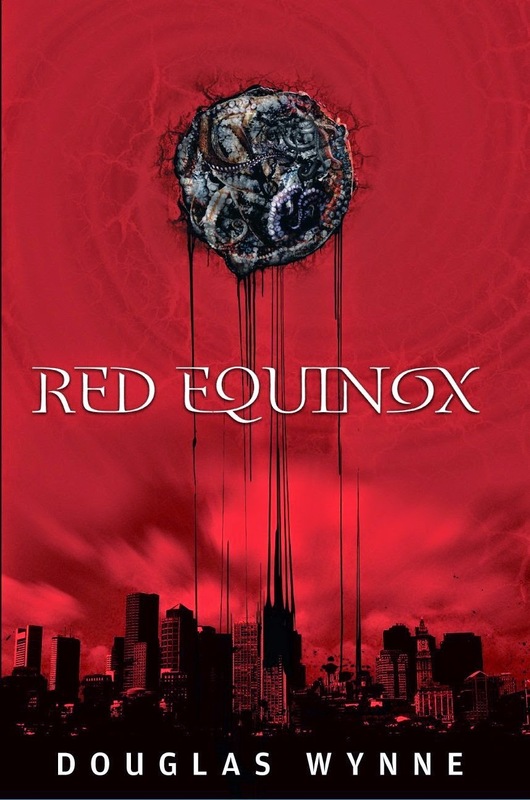 Kudos to Chuck Killorin on the cover art for Red Equinox. If you read the story, you'll see just how fitting it is. Set slightly in the future, Red Equinox, embraces the Lovecraftian mythos with all tentacles, but in a way that was not at all off-putting to those unfamiliar with what that is all about. From beginning to end, there are treats for those who enjoy Lovecraft and a great story for all readers looking for a good horror tale. It starts with a very strong opening... " Death has a way of calling us home. and when it does we put on our best. Becca Phillips hadn't been to Arkham in years, hadn't worn a dress in almost as long, and now here she was, stepping off the train and feeling out of place in both." There is plenty of horror in Red Equinox, plusa secret government agency called SPECTRA with ties to Limbus. If you're familiar with Journastone's shared world series of the same name you'll get a kick out of that. Having lived in Boston during my college years there were a number of little gems Douglas included for the locals. "Dirty Water" by the Standells, makes an appearance and there's the story of the MIT fraternity that used Oliver R Smoot as a unit of measurement. I hadn't heard that one in more than forty years. This is the third Douglas Wynne novel I've read, all great and each unique. The only thing they've have in common is a comfortable writing style, memorable characters, and strong stories. Red Equinox is available now, both as a paperback and in a variety of ebook formats. You can get your copy from the Journastone website or through Amazon.com. Highly recommended, even if you're not a Lovecraft fan. 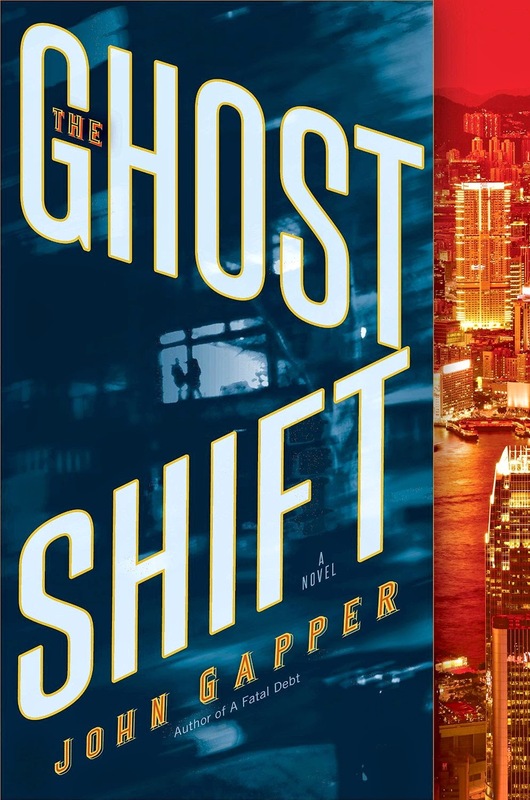 John Gapper's new novel, Ghost Shift, is a compelling corporate thriller set in modern day China. Considering John lives in London and is an associate editor and business columnist for the Financial Times you might think that's quite the jump, but as John explains in the acknowledgements, he is no stranger to China. He's been fascinated by the country for some twenty years and has received a lot of help in researching this story. Ghost Shift is a complex tale, set in an unfamiliar world and as such was a challenging read for me, but one that was worth the effort. I found the descriptions of the country and life of the worker in China to be both rich and satisfying and the story of Song Mei and what happens after the discovery in the swamp to be believable right to the very last twist. This wasn't just a body in a field. The corpse's shape was hers--same length, same curves. Then she knew, and everything else receded to nothingness. All she could see was a woman with the same nose, the same eyes, and the same face. True, I'm a horror fan, through and through, but every now and again it's nice to step outside of one's comfort zone. This was one of those side trips and I'm very glad I got to read it. Ghost Shift is available for pre-order in both hardcopy and ebook formats. Look for it to be released on January 20th, 2015, from Ballantine Books, a division of Random House Publishers. 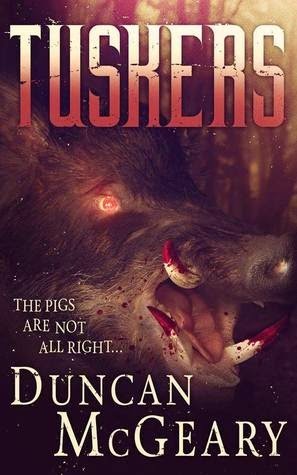 Until I got to read Tuskers by Duncan McGeary, I had never heard of javelinas or skunk pigs, but a quick check of Wikipedia reveals they are real and can be found in Arizona where this novel is set. The author didn't waste a lot of time with setting up this story. In no time at all, people are dying and it doesn't look good for the humans. This sequence leads to one of my favorite lines from the book. The action involves a former sheriff named Barbara who's pretty good with a firearm. "She went to the front of the house, drawing her Glock. She threw open the door. Half a dozen javelinas were rooting around in the bare dirt and rocks. She started blasting, catching three of the pigs by surprise and killing them. Two of the others were winged as they ran, and the third got away completely. As she ejected the spent clip and loaded another one with practiced ease, the unharmed javelina turned and gave her a look that almost stopped her from finishing the motion. It was a warning look. You've messed with the wrong pig, the look said." 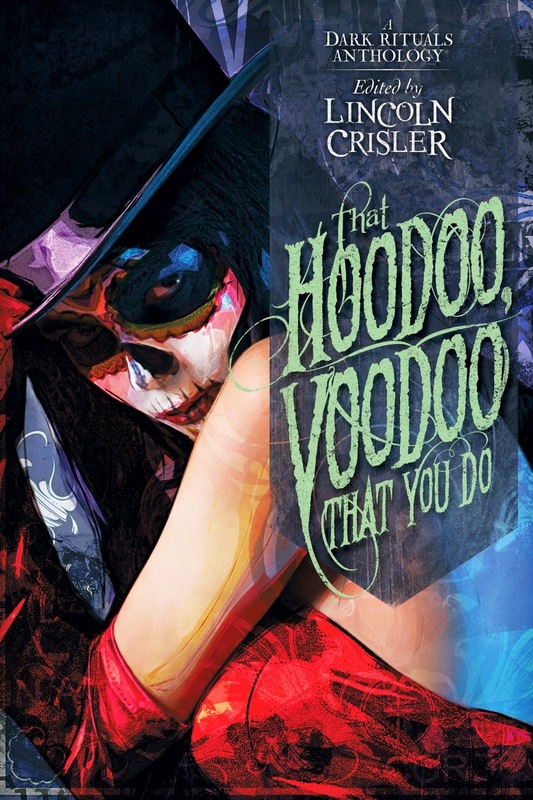 The writing was crisp and fast-paced, the plot just took a little suspension of disbelief, and the result was a very good first effort from the new Angelic Knight horror imprint from the folks at Ragnarok Publications. Tuskers is a complete work in it's own right, but the stage has also been set for sequels of which two are already planned. The release date is set for January 12th and Tuskers will be available in Paperback and ebook formats. Mark Tanner has OCD, so to say he's bothered by a bit of blood where it doesn't belong, would be putting it mildly. He works at a clothing store called House of Haiti and is justifiably disturbed when he discovers one of the store mannequins bleeding from the crotch. As if that's not bad enough, when he gets home, he discovers he's bleeding from the same general area. From the wildly active imagination of one of Australia's modern day horror masters comes comes this twisted little tale that is over way too soon. 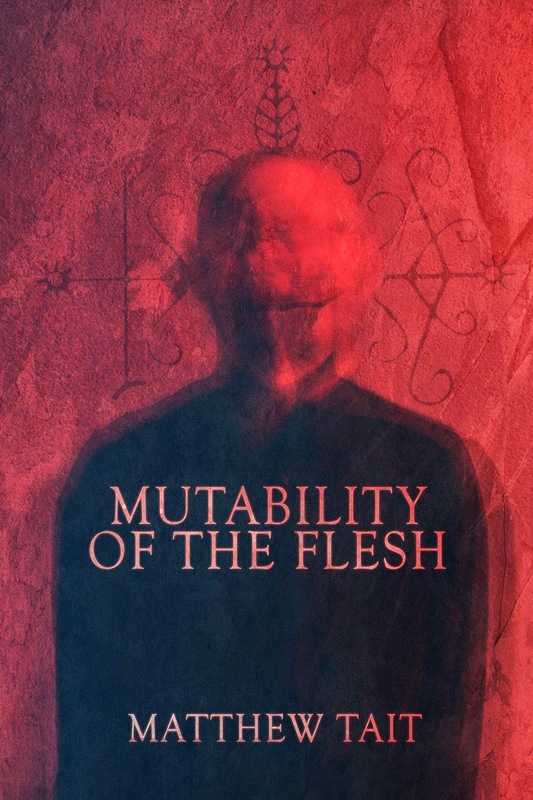 Published by HodgePodge Press, Mutability of the Flesh, is available now for the Kindle. If you subscribe to Kindle Unlimited, you can read this one at no additional charge and if you are an Amazon Prime member you can read it for free through the Kindle Owner's Lending Library as your monthly selection. In the not to distant future, in the ultra competitive world of BigPharma, Denali Labs has produced blockbuster after blockbuster. No other BigPharma firm had ever had that degree of success in so little time. Lisa von Biela has come up with an all too believable story about the lengths some companies may go to to increase market share and insure huge profits. It's bad enough what BigPharma up to, but what happens next is unthinkable. Blockbuster is not a great read, the characters are pretty much one-dimensional and the threats are somewhat predictable, but the story itself is scary as hell. I certainly wouldn't recommend reading this if you're a bit under the weather. 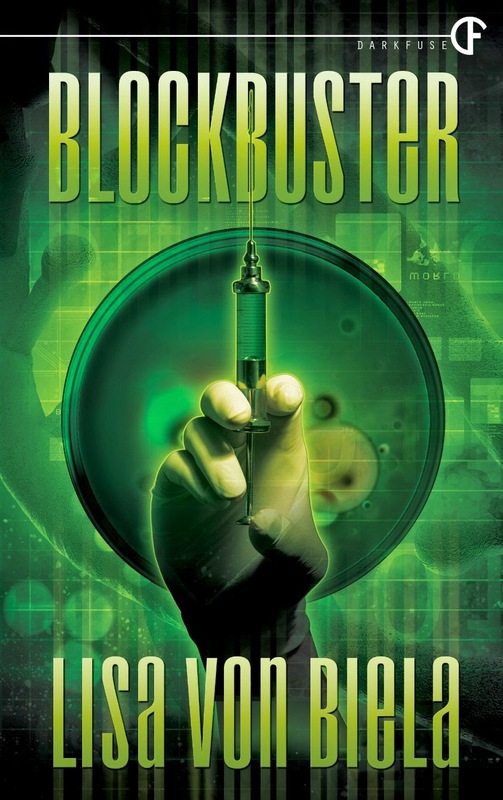 Blockbuster is available now for the Kindle from Darkfuse publishers. If you subscribe to Kindle Unlimited you can read this for no additional charge and if you have Amazon Prime you can borrow this book through the Kindle Owner's Lending Library. 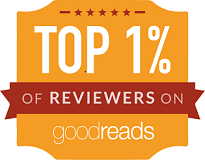 I'm fortunate enough to be given a lot of books in exchange for a fair and honest review. On occasion, I will even reach out through services like NetGalley when I hear about a new work that piques my interest. That's exactly what happened here. Late last year I heard about Karen Lord who was making a name for herself in the SF genre and a new book that would be published in January. A book grand in scope with political and religious overtones. I, like many other readers of my generation had read all of the original six books in the Dune series, I've even read a number of the prequels published over the years. Loved most of those. "For years, Rafi Delarua saw his family suffer under his father’s unethical use of psionic power. Now the government has Rafi under close watch but, hating their crude attempts to analyse his brain, he escapes to the planet Punartam, where his abilities are the norm, not the exception. Punartam is also the centre for his favourite sport, wallrunning – and thanks to his best friend, he has found a way to train with the elite. But Rafi soon realises he’s playing quite a different game, for the galaxy is changing; unrest is spreading and the Zhinuvian cartels are plotting, making the stars a far more dangerous place to aim. There may yet be one solution – involving interstellar travel, galactic power and the love of a beautiful game." The problem was the 123 words in the paragraphs above took 336 pages and thousands of words to convey in the actual story. Oh, and the full book didn't convey the story half as well as the synopsis. There were numerous times I wanted to quit reading this book, but that's not me. Once I start, I see it through to the end. I'm just glad it's over. Time to slip back over to the dark side and read some horror. 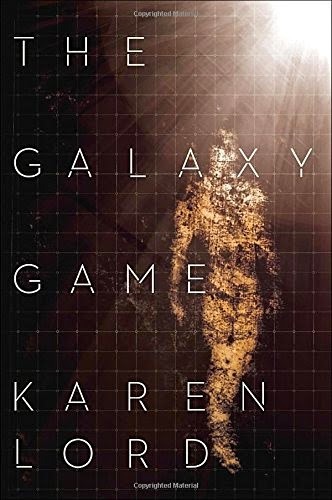 The Galaxy Game will be published in Hardback, Paperback, and in a variety of Ebook formats in early January from The Del Rey - Spectra imprint of Random House.